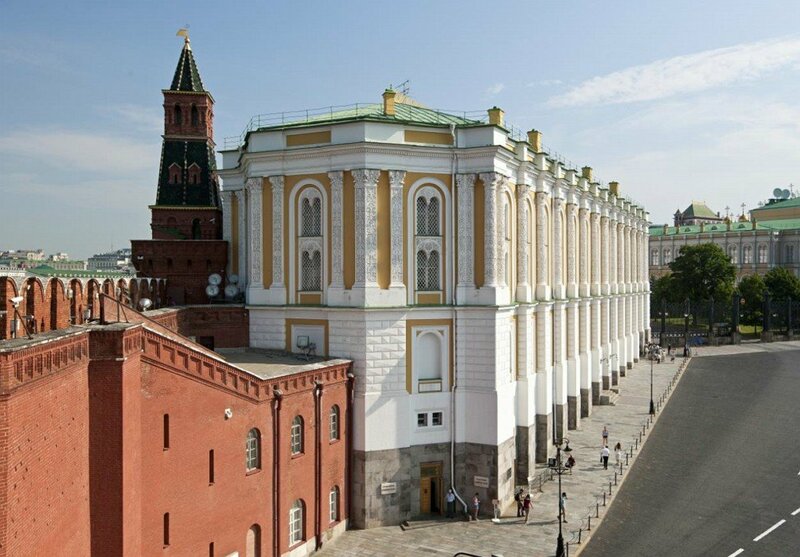 The oldest Russian museum — the Armoury Chamber — is a treasure-house which houses precious collections of ancient state regalia, ceremonial tsar's vestments and coronation dress, vestments of the Russian Orthodox Church's hierarchs, gold and silverware by Russian craftsmen, West European artistic silver, ceremonial weapons and arms, carriages, horse ceremonial harness. 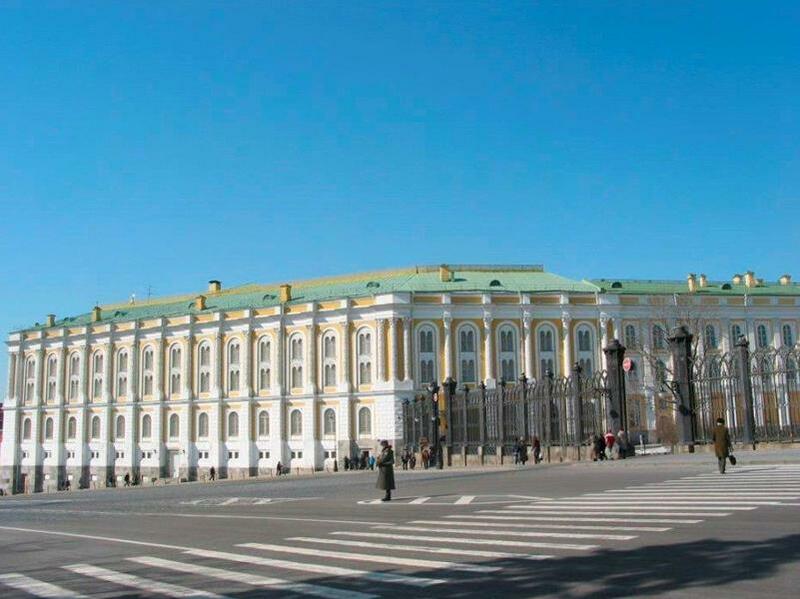 The Armoury museum building, included to the Grand Kremlin Palace Complex on the project of architect K.A. Ton, was erected in 1844-1851 on place of the dismantled in the XVIIth century Stables Court. 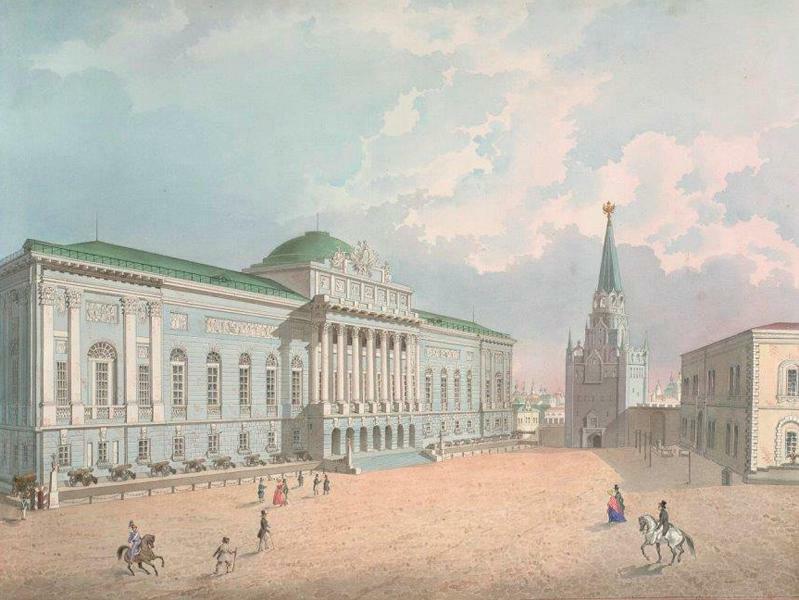 The architecture of the Armoury Сhamber is close to the Grand Kremlin Palace. The two-storeyed construction is placed on thick basement of variable height. Details styled in the XVII century manner were used in the façades' décor, but in contradistinction to the XVII century style they are free of coldness and meagreness. The main adornment of the façades are white-stone carved columns with juicy vegetable ornament. However, the sameness of the silhouette make the palace ensemble rather inexpressive. The composition of the Armoury with symmetrically located exposition halls and the front entrance with a staircase in the eastern flat end of the building is rather unexpected. The enfilade of display halls closes with half-round halls in flat ends. In the center there is a round hall bossed into the yard. The unusual system of high floor vaults, bearing against exquisite columns, creates an impression of constructions' aeriality and a feeling of interior amplitude and magnificence. The present-day exposition was created in 1986. Nine Armoury halls exhibit Russian and Foreign jewelry articles of the XIIth-XIXth centuries, armoury and weapons, State regalia, royal carriages, garbs and other artware.